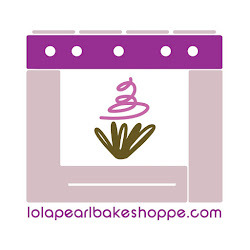 Lola Pearl Bake Shoppe: Halloween DIY project idea! Halloween is a great time to try out your creativity. 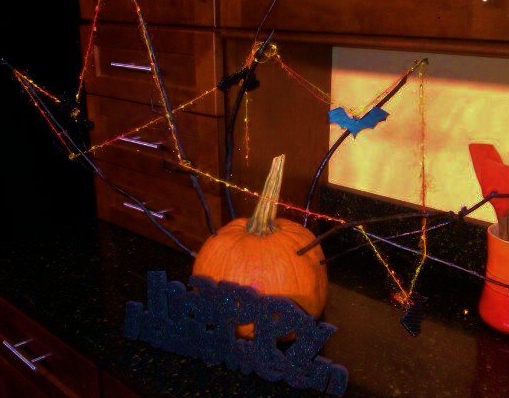 Let those creative juices flow with simple items like a pumpkin, sticks, yarn and bats. Learn how to make this after the jump! First, spray paint the sticks black and stick into the pumpkin. Depending on the size of your gourd, you may have to use a screwdriver to make your divots. After the sticks are secure, carefully wrap the yarn around the sticks. (If you have paper bats, punch a hole and string them through before wrapping the yarn around).